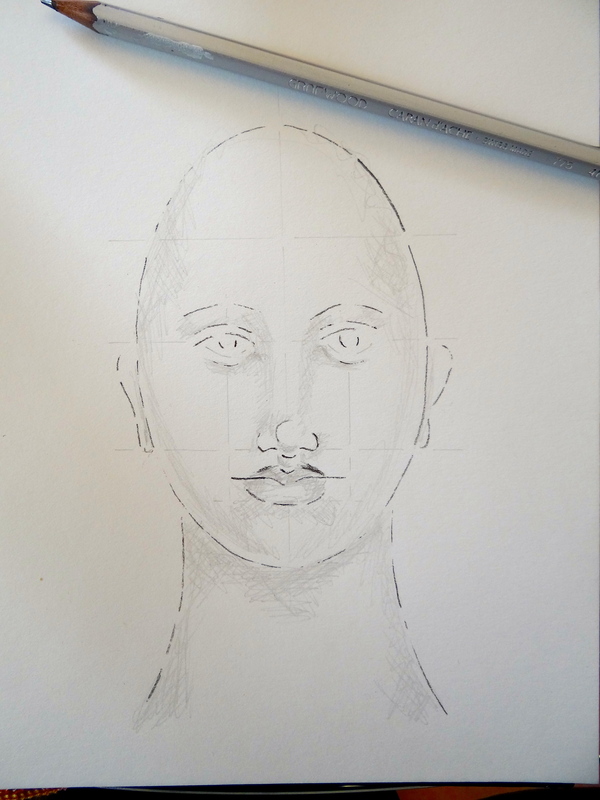 Some of you have asked me about how to use the Face Map Stencils so I thought I’d give you a little demo on one of the ways you can use them. 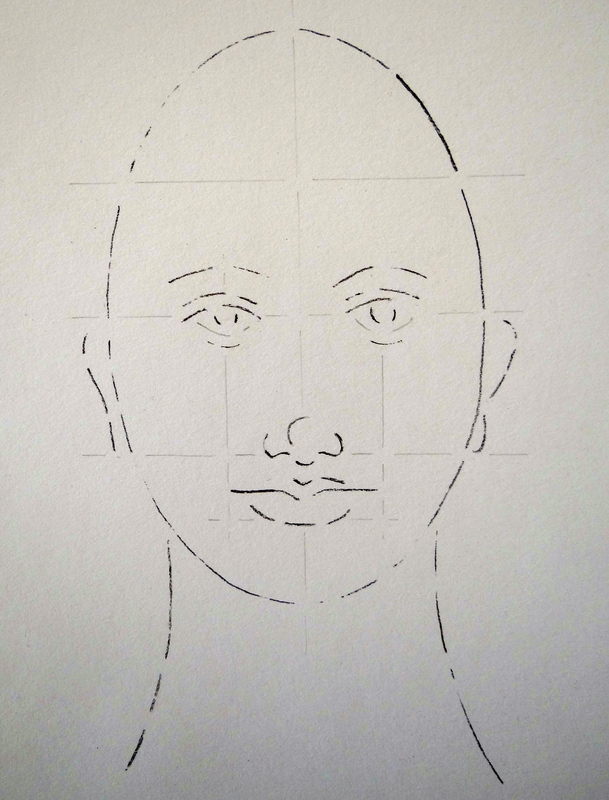 Using a simple pencil you can trace through the stencil for the face guidelines. 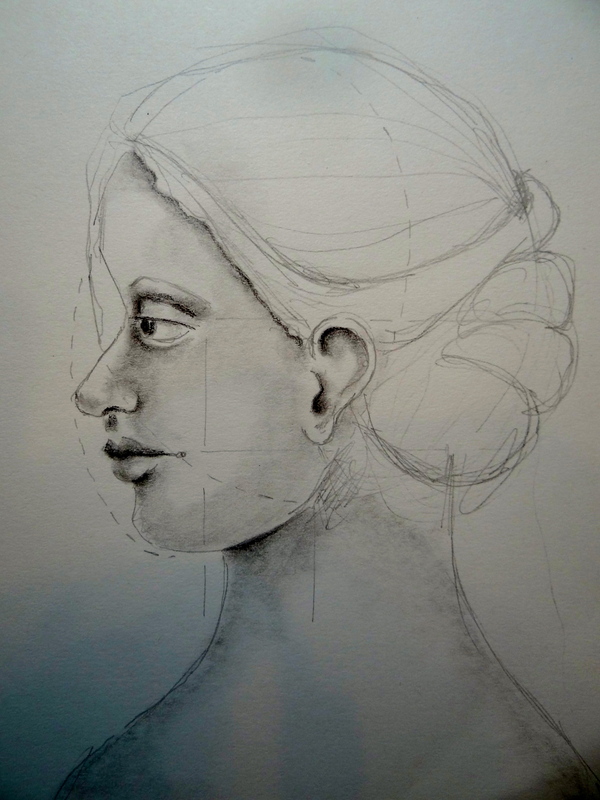 This is a great way to fearlessly practice your sketching, shading and drawing techniques. Start with a light 4H lead and begin to add some cross hatching to the areas that need shading. 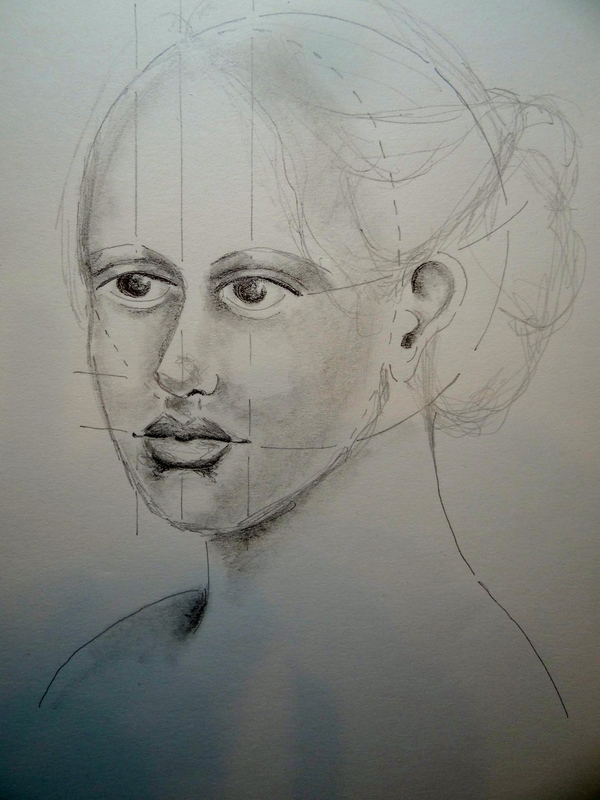 This helps you to begin defining the planes of the face and determine where your highlights will be. It’s easy to change things when you start out light. NOTE: I went darker on the outlines so you would be able to see them in the photos, you would want to go much lighter. Smudge out your shading with a blending stump. Stumps are great tools for drawing. 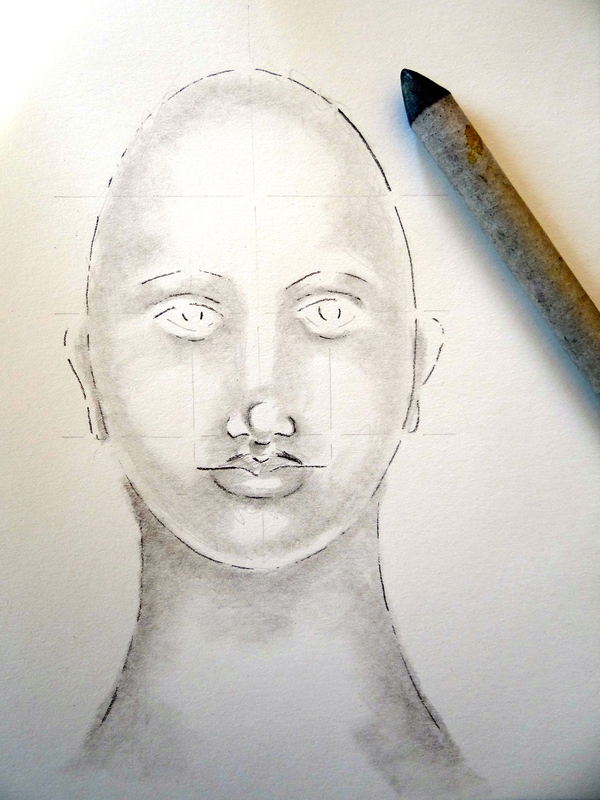 They are cheap and will help you move the graphite around on the paper and soften the lines. 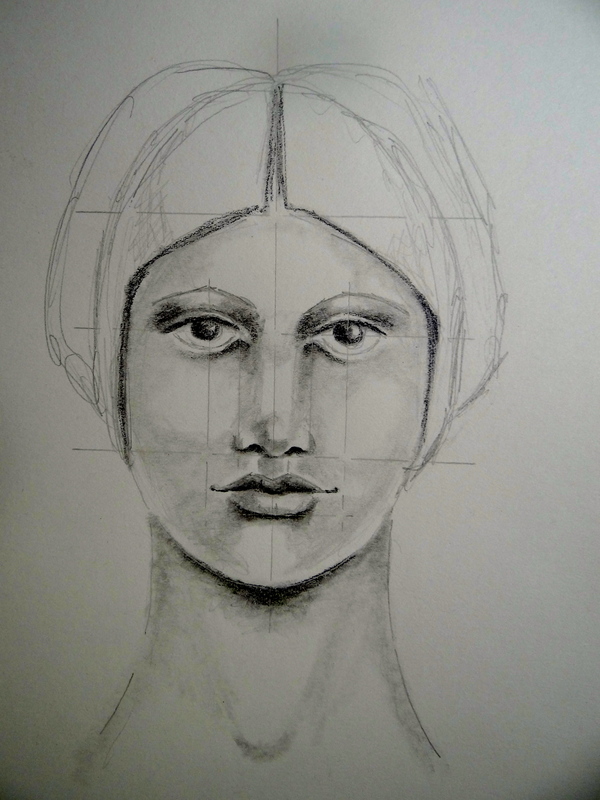 Blend this out with the stump as well, and continue on building tonal values in your work. Remove graphite as needed with a kneaded eraser. 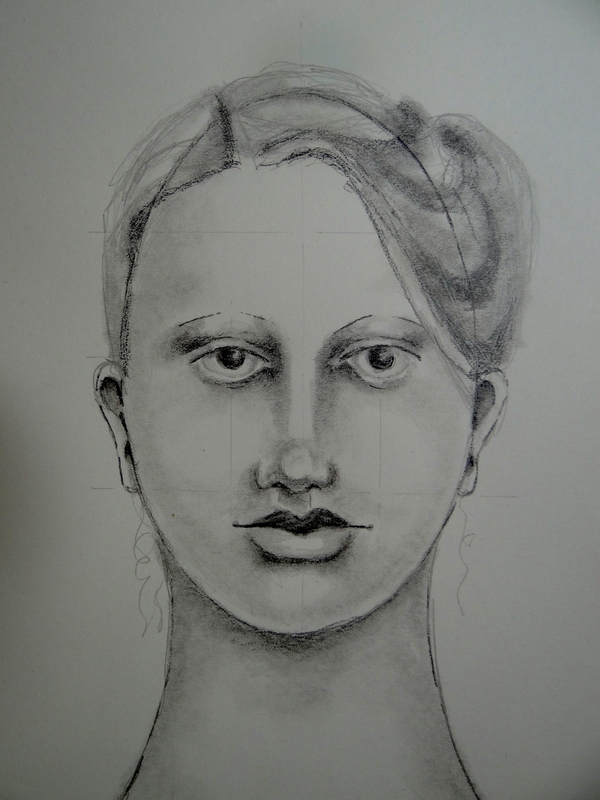 You will want to have mostly mid tone values with a few very dark tones to emphasize the facial features. 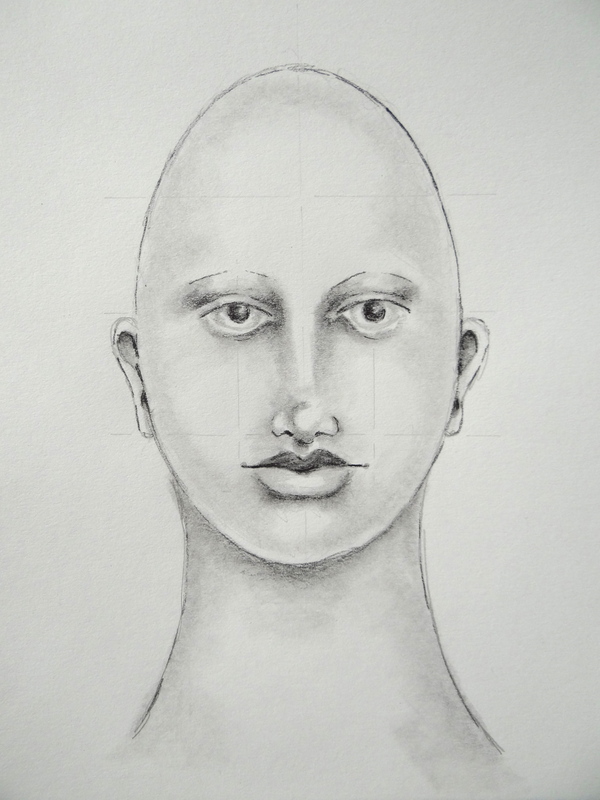 Add hair and continue tweaking until you feel your drawing is finished. 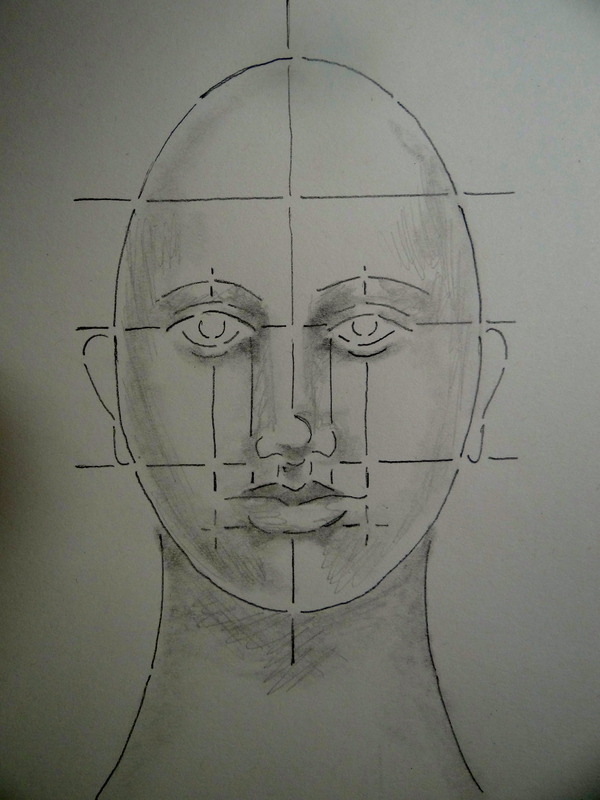 It’s amazing but even with starting from a stencil, each drawing will end up with different look and you can change up the features as you become more confident in your drawing skills. The guidelines can be erased when you are finished. 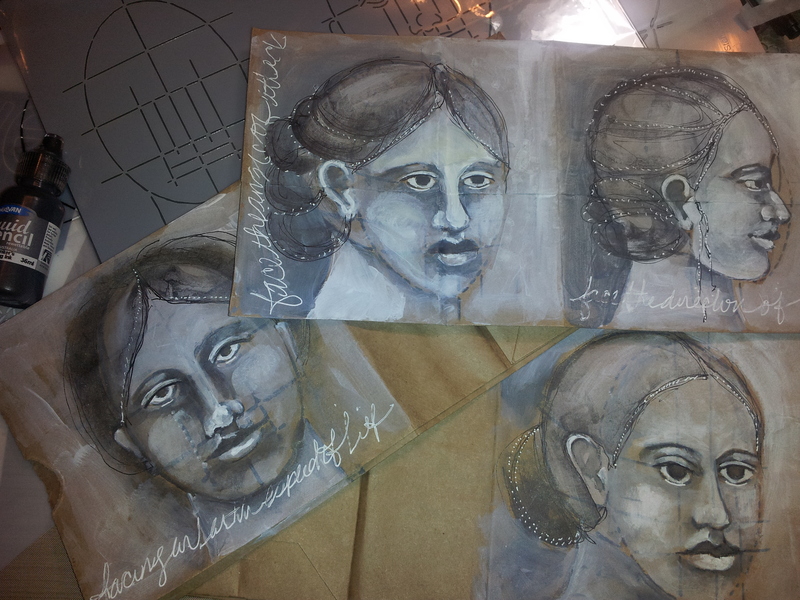 Here are some other examples of using the stencils for both sketching and in journal work. Thank you for your continual sharing of your artistic skills and insight, for I am always learning and gaining confidence, habimg your guidance, show me the way, as I explore my artistic capabilities. Thank you again for sharing. It is always appreciated. Your work always is inspiring. Thank you for ALWAYS sharing. Pam, what a generous spirit you have! This is a great incentive to keep drawing regardless of the holiday swirl. Thanks so much for this wonderful lesson. Great post! Love these stencils and the AMAZING art you’ve created with them! Very inspiring! The stencils look terrific, where do we buy them? I loved the way you used the stencils to do your faces. Maybe if I’d have had them while I was an art major, I would be a famous portrait artist! great job and when I get the stencils (hopefully winning them), I will use your tutorial. 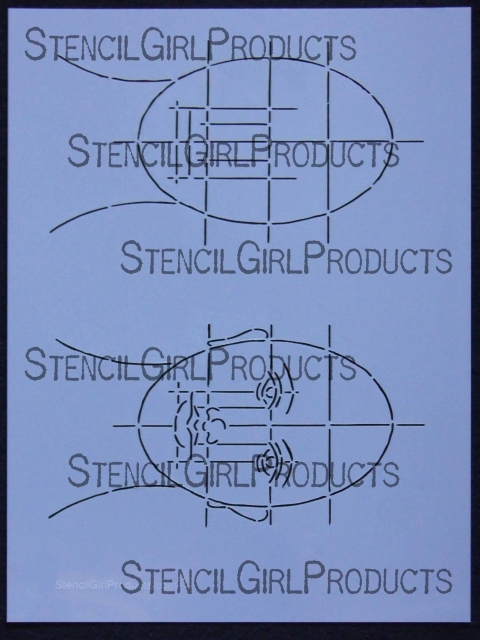 Definitely will be purchasing these stencils, Thank you for designing them Pam. love it! great help for those of us who have some “challenges” Thanks!!! 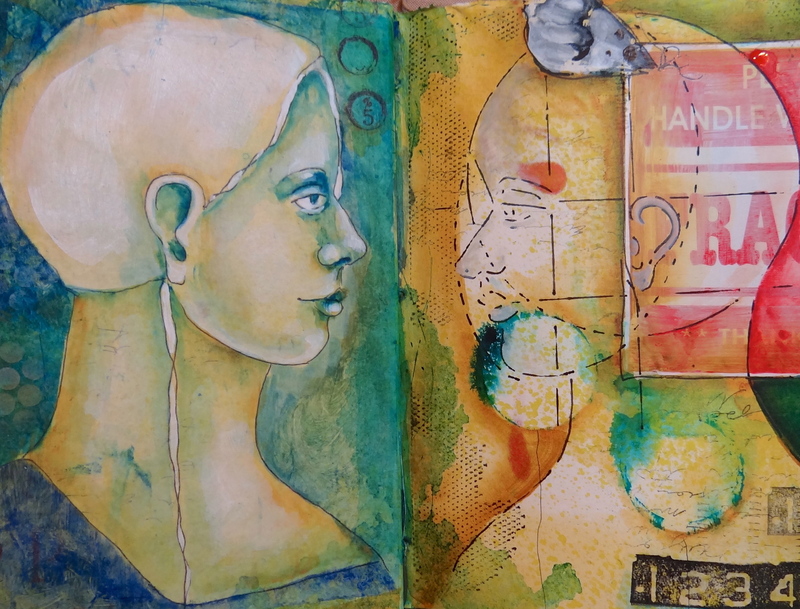 Hi Pam…even though I took your portrait workshop, I found this to be a very helpful refresher, and I especially LOVE the way you integrated the sketches into your journal work…very inspiring! Thanks, as always! thank you so much Pam..this is so kind of you to show this great shading technique to us …I have to practice more… it is so easy to follow your instructions! Have to say a big thank you..
and have to say that you are an awesome guide and teacher! Pam, last winter here in New Zealand I found you somehow. 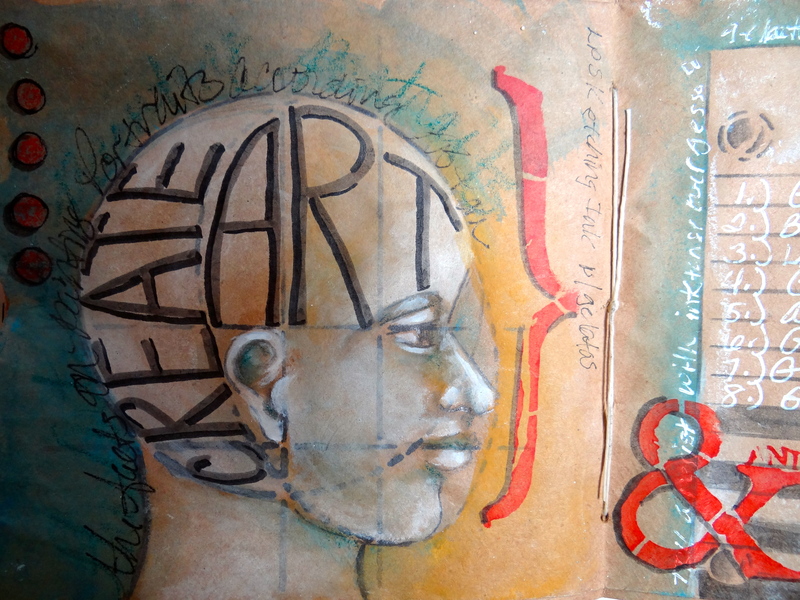 My winter was transformed into an engaging learning experience which opened so many door in my art practice. I wonder if you ever sleep? Lol. Many thanks to you. I love these stencils!! Thank you so much! Wow! After today’s email with the gift instruction on the face stencils, I am really hoping I am fortunate enough to win the faces stencil. Thank you again Pam for showing us even more of how to do better art. You are so generous and it is so nice to have an artist like you to show us how to do better art.. Thank you!! Very, very helpful!